A fantastic mix of some of our older designs in a new 8×8 size! way to gain a sampling of several papers at once! What a fantastic ‘pick ‘n’ mix’ selection – just perfect for those dipping their toes into your world of papers! I love your sample packs! They allow you to play with a little before buying it all! Wonderful idea to make this sampling pack! Do these have a grande and petite pattern for each? Or just one of them? I missed a lot of these papers so it’s really exciting to see them all in sampler! drooling over the gorgeous bitty star paper and the flourishes set….hope to win this beautiful, versatile set. Thanks for the attention and detail that go into your sets, that make them so incredibly easy to use! What a great selection of papers! Yea! OH I AM SOOOO GETTING THIS!!! This is too hard to pass up! Ooooh, what a great mix of beautiful colors and patterns – I love the gentle colors!! i love all in the variety in this pack; the flourishes and tea dye inks look awesome!! Cannot wait for tonight, everything looks so great! I might have to splurge and get the “I want it all” package. I have got to have the flourishes stamp — so pretty!! The new patterned papers look like a lot of fun. The itty bitty stars will add to nicely to your new stars stamp set. I am excited to see the full reveal tonight. The flourishes are perfect for so many style cards and the 8×8 sample pack is a great idea. Lauren’s templates are great!! I really love everything this month! Flourishes are a dream come true! I saw some of these in the Design Team projects and thought that they were a part of the Star Prints. Wow, a whole set! Feel like I am floating on “cloud nine”. This release has to be one of the biggest! Such creativity!!!!!!!!!! I so want it all!!!!!! But I will have to pick and choose. I have already ordered the bitty dots and think I will also like the bitty stars. 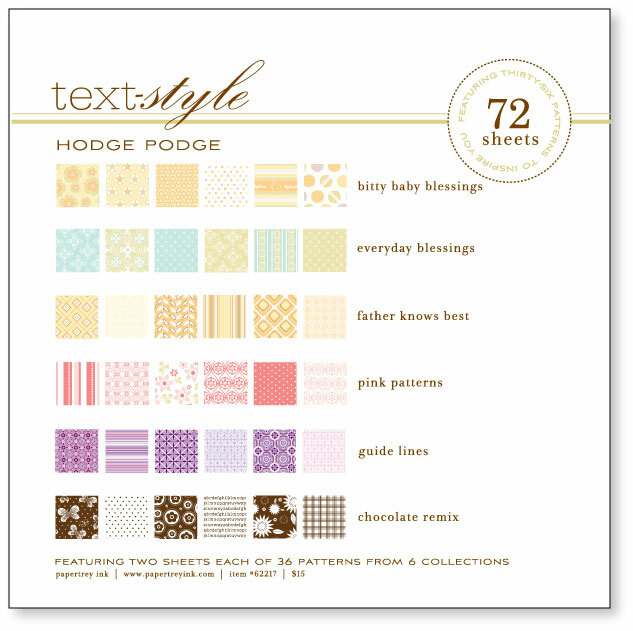 Love Hodge Podge and the FLourishes can be used on any card or scrapbook page so it is definitely a must have. Can’t wait until tonight. LOVE LOVE LOVE it! Can’t wait to buy it! Really loving the cute paper packs and the peeks at the new stamps! Absolutly stunning set! Will they be available in England?